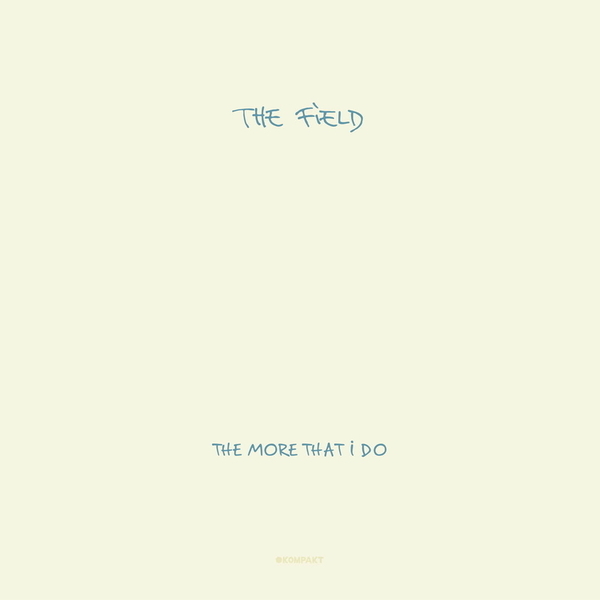 The Field delivered one of the definitive Kompakt albums with their terrific 'From Here We Go Sublime' set a few years back. Since then Alex Willner aka The Field has picked up a hugely disparate but emotionally tuned crowd of fans aching for his unique style of super-lush, after-hours club music, gathering heads normally head towards more emotive music. His 'The More That I Do EP' is his first new material since then and almost predictably it's moved in a rockier direction with live-sounding drums and rolling bass guitars providing a churning rhythm section to carry along his locked loops of tempered ecstasy. Thankfully the direct emotional clout of his previous work is still fully apparent and brought to the fore meaning any old fans will certainly not be disappointed. So it would also make sense that current indie darlings Foals have been selected for remix duties, turning in a slightly less direct, and actually more "dancey" version than Willner's original, replacing the kicks with machine beats and breaking the loops into standing-on-a-mountain-top style grandeur for those that need it. Our money has to go on the ace Thomas Fehlmann remix, taking the lush beauty of The Fields trapped loop template and spacing it into cushioned layers of soft focus ambience directed by a sub driven house rhythm with sparse marimba lines threading the whole piece together. Lovely.